Have you discovered that there are some anti-inflammatory foods that can help to ease symptoms, while some other foods are almost guaranteed to increase the propensity for a fibromyalgia flare? Most people with fibro have at least a short list of foods that seem to kick off a round of fatigue, pain, rashes, or other uncomfortable symptoms. This is because some foods promote inflammation throughout the body while others are known for fighting inflammation. It never hurts to load your system with anti-inflammatory foods that help you control inflammation, but don't be afraid to experiment. After this short list of common anti-inflammatory foods, see the section on foods less commonly known to be included or salvaged from any short list. Vegetables – Some of the most powerful anti-inflammatories come in the form of fresh vegetables. Consider filling your plate with non starchy vegetables first, like zucchini, green beans, spinach, and other leafy green vegetables. When working to eat more raw vegetables, try creating vegetable dishes that are 50% raw and 50% cooked. If you feel that eating raw vegetables increases any IBS symptoms, please read more here .. Easing IBS symptoms. Fruits – If you follow here, you might already know that my favorite low glycemic fruit is organic green apples. Many berries and tropical fruits like pineapple are rich in anti-inflammatory nutrients, and they will add some color and sweetness into your diet. Preparation is also key to making some of these more palatable. Walnuts – Consider this one of the healthiest forms of dietary fat available today. These nuts are included in many diets for diabetics, and they naturally fight inflammation. Read more here about balance of oils and proteins ..
Salmon – Did you need another reason to take that daily fish oil supplement? Omega-3 fatty acids found in fatty fish are excellent at reducing inflammation throughout the body. If you aren’t eating salmon, sardines, or another fatty fish at least three or four times a week, you could probably benefit from taking a daily omega-3 fatty acid supplement. Flaxseed meal or oil is another option to increase your omega-3 consumption. Olive Oil, Avocado oil & Coconut Oil – These are a few of the healthiest dietary fats available today, and they all have many uses in the kitchen and around the home. They have natural anti-inflammatory features, so they are your best options when making stir fry or a healthy spin on fried chicken. You can also use coconut oil for cleaning the mouth. (coconut oil mouth rinse) However, please note that not everyone does well on coconut oil. It is not right for everyone, specifically some blood type O's. In many cases, I have seen coconut oil over-rated and this is only now coming to light after I have talked about this issue for years. Turmeric – This is a versatile spice that contains a powerful anti-inflammatory substance known as curcumin. It’s also loaded with manganese and vitamin B6, which can both help fight inflammation. See the “spices” paragraph below. If you haven’t paid attention to possible connections between what you eat and how you feel, now is the time to start a food journal. You may notice trends that connect certain fibromyalgia symptoms to foods that you eat daily or even occasionally. You’re likely to notice that you have fewer or less severe symptoms when you avoid over processed foods that are loaded with sugar, artificial ingredients and chemicals. The more natural your diet, the better. If you are a meat and potatoes kind of girl or guy, you might find it challenging to avoid potatoes all together when eating anti-inflammatory, and guess what? You don't have to avoid these all together. For many years, we have utilized the red potato with good success. The red potato even has its place in some of our recipes and menu items. You see, red potatoes are much different. They are not only lower glycemic but easier to digest and will not contribute to inflammation like some white potatoes can. By the way, some people are fine with all kinds of potatoes. Don't assume all potatoes are bad for every person. 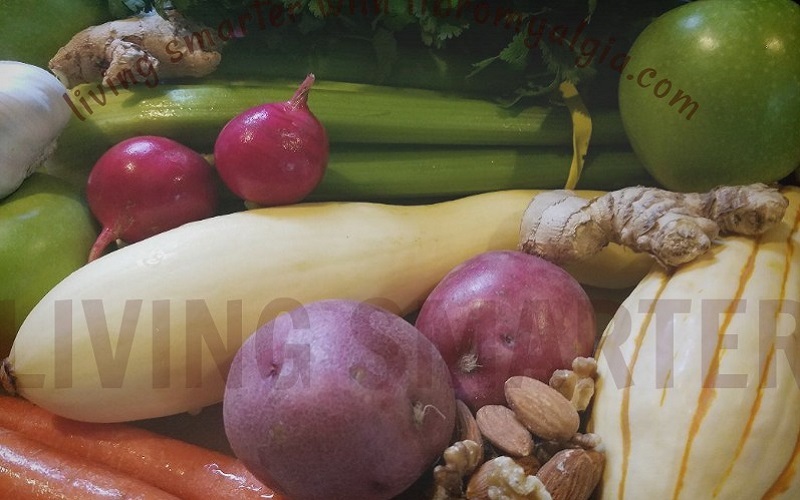 Working as a colon therapist for many years, I always try to give as much variety as possible, while still staying anti-inflammatory and healing for the body and other conditions like arthritis. First, be sure they are organic, whenever possible (taste and health value are so much better in organic) Second, choose organic reds when possible. Sweet potatoes are also excellent but will be better when they are not combined with animal protein for optimal digestion . Reds are best cooked the old fashioned russet way, right in the oven. Put some fork holes in them first. Another great way to use reds is in soups made at home. Slice them and add coconut oil and vegetables to make a very flavorful soup. Tomatoes are best for blood type O. Green, yellow, and red peppers can be utilized by many. Again, it is best to experiment instead of buying into myths about these foods. I do fine with green and red peppers and like to include them in dishes and soups. Squash has become even more of a healthy “comfort” food over the past decade, and rightly so. It is one of the anti-inflammatory foods that goes well in any anti-inflammatory diet. 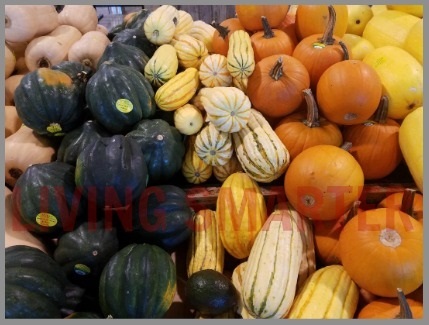 You can include so many varieties of squash alone or in recipes. What is your favorite squash? I like delicata and spaghetti squash. See our Recipe page for my favorite, easy and flavorful ways to prepare squash. Believe me, your hands will thank you !! In the short list above we mentioned oils like olive, avocado, and coconut oil. It is important to not sabotage a healthy diet of anti-inflammatory foods with unhealthy oils that are often still included in many packaged foods, especially chips or crackers. Avoid oils like corn oil and cottonseed oil. They are toxic, generally unclean and hard to digest, easily causing symptoms in those with IBS. Canola oil would also be another you may want to avoid or at least put limits on. Another avoid for many people with both fibro and osteo issues is milk protein, otherwise known as casein. The protein of the milk can be the most difficult to digest. Avoid foods like store bought yogurts, whey, and low fat milks which are higher in casein. Choose healing dairy fats like ghee (clarified butter), butter oil, or raw cream. A little goes a long way. Turmeric is known for its anti-inflammatory properties. Just be aware that you want to start slow. Start with the actual spice before using supplements. Mix a tsp. of organic turmeric into water or coconut milk. Rosemary is good for inflammation and even headaches. Thyme is great for digestion, and goes well made into a tea, add both rosemary and thyme together. Ginger Root is excellent and can be used in teas or in raw foods. Try juicing raw ginger root in your vegetable juice for extra benefit. Try including some of these foods and seasonings in your diet, you can help to reduce inflammation in your body and help reduce flare-ups and feel better. Is there One Best Diet for Fibromyalgia?